The day after I graduated university I flew to Whistler BC without a job and without a place to live. I wanted adventure and Ontario was boring. 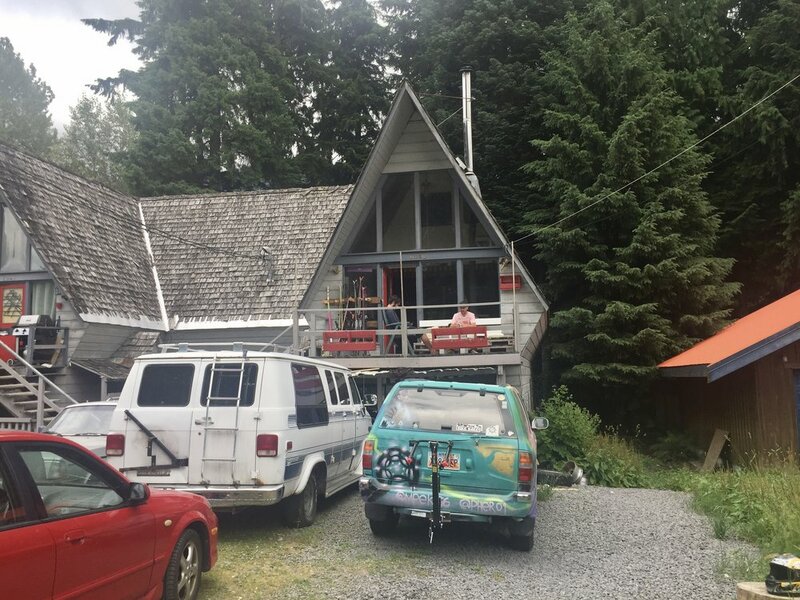 I had a friend in Whistler so I had a place to crash while I looked for a job. 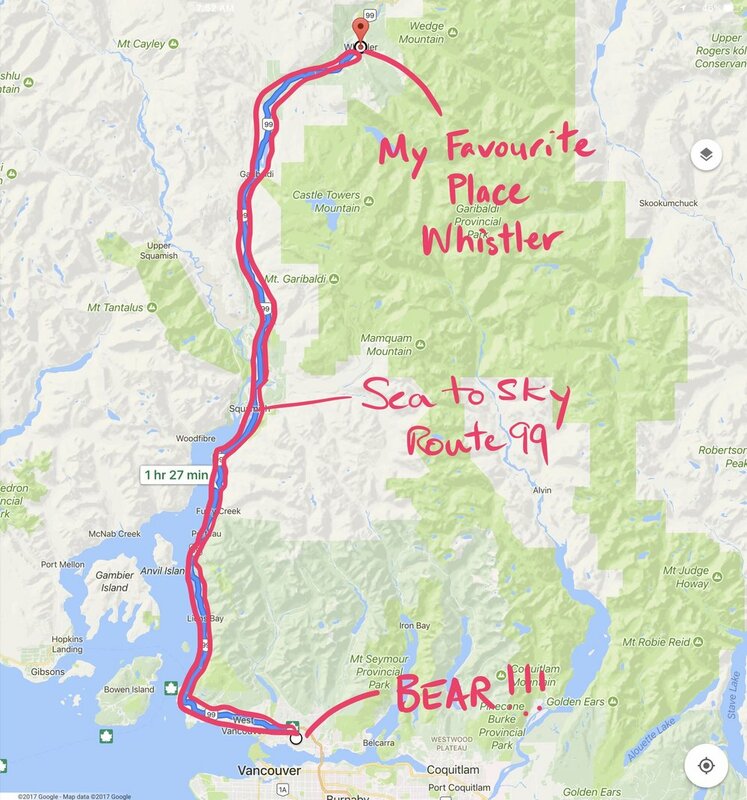 I ended up working for Whistler Mountain and staying in the house with 10 other people. I learned to snowboard before it was mainstream and got negative comments from skiers on a regular basis. I went snowboarding 70 days that winter and fell in love with it. Both Whistler and snowboarding. Whistler is my favourite place in the world. Sign about 10 minutes before you reach town. I stopped by the house on Squaw Valley Cres. where I lived while I worked at Whistler. I shared this house with 10 people. I spoke to the guys sitting on the porch. They said that someone had recently bought the house sight unseen and it would be torn down soon. I'm glad I got a last chance at a photo. The place where I stayed while working in Whistler. It's on "Creekside". 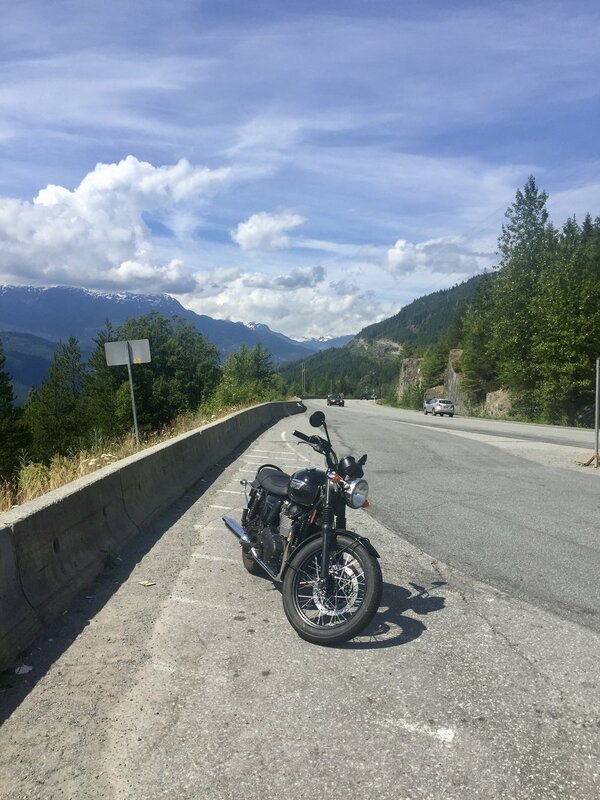 While I was living there I dreamt of riding a motorcycle from Vancouver to Whistler. The famed sea to sky highway, Hwy 99. On Sunday that dream became a reality. It was amazing. The views, the turns and twists in the highway, and the destination were perfect. 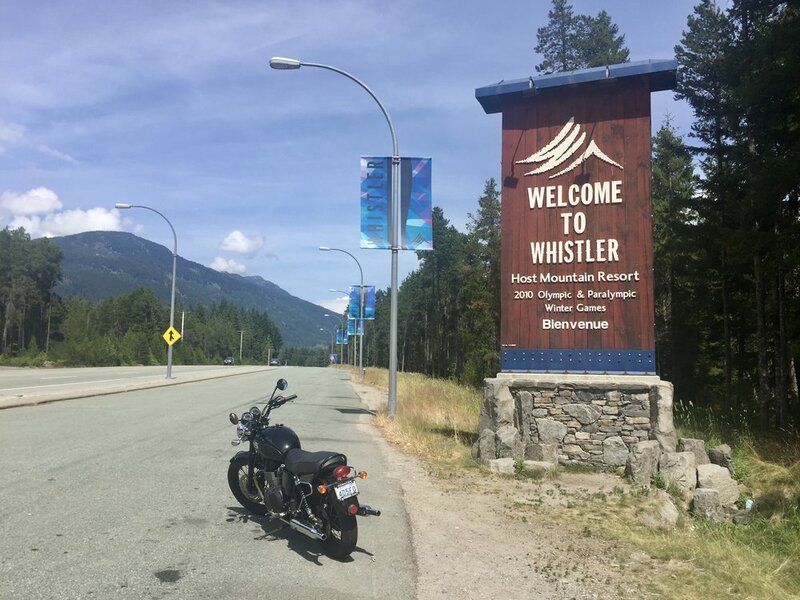 Most people might think that Whistler is only a winter destination. This is not true. In the summer it is buzzing. I had lunch at Merlins and watched people walking by at the Farmers Market. The ride back to Vancouver was just as thrilling and the sky had cleared and it was sunny. But my adventure for the day wasn't over yet. I went to a friends house for dinner a couple blocks away from where I was staying. When I was walking back after dinner, I came across a black bear in the driveway of the house two doors down from my friends. It was eating the garbage and looked up at me only 12 ft away! I continued walking as normal with my heart beating out of my chest. I have never been that close to a bear. It was scary. My friends and their neighbours know about this bear and there are signs posted around the neighbourhood warning that there have been black bear sightings. The people living on this street were texting for the next couple of hours about the bear. It was walking up the middle of the street, it was at so-and-so's house. I was glad to be safe inside the house and call it a day.